All of our candles are hand-made produced with 100% beeswax. 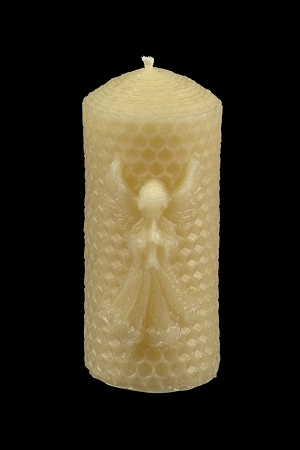 The beeswax makes the candle naturally fragrant. The candle is longer lasting, cleaner burning, and burns brighter than most other wax candles. As with all candles, do not leave a lighted candle unattended.